Sheffield Hallam University (SHU), in partnership with Digital Catapult, is bringing IoT infrastructure to the Sheffield city region. This end to end IoT infrastructure will be available to use for local businesses that intend to expand their IoT capacity. The Internet of Things (IoT) has begun to significantly disrupt traditional business models across a variety of markets. Already, early adopters have begun using IoT to gain a competitive advantage. As more businesses are to adopt IoT infrastructure and technologies, it will become crucial for business in every market in order to maximise future opportunities for business development. IoT is an important component of the fourth industrial revolution. Identify the benefits and opportunities that IoT can provide for your business? Understand the possible applications of IoT for your business? 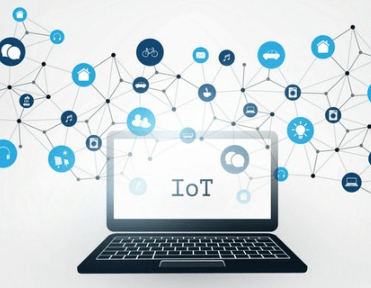 Gain insight into industry trends and best practices in order to choose the right way to implement IoT applications for your business? Understand IoT technologies, applications and meet potential partners to facilitate the initiation of IoT projects within your business? Gain access to academic experts who can help you to grow your business? Delivered over 2 days and run by the Sheffield Innovation Programme, it will cover LPWAN technology, IoT applications, end-to-end infrastructure and communication. The sessions will involve hands on training and will include theory, demonstrations and practical components. All training materials, slides and code examples will be made available to the delegates. Join us to explore the opportunities for your business. The workshop will be beneficial for any SME business actively seeking to expand their use of IoT. The sectors include manufacturing, digital, security, food engineering, museums and health care (not including the public sector).